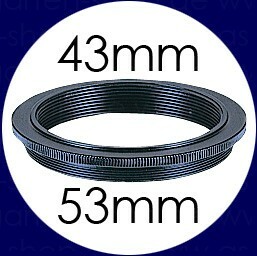 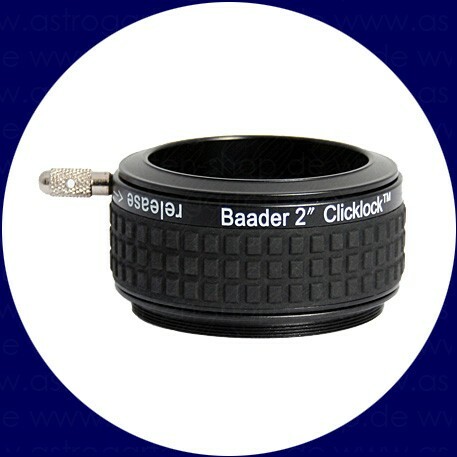 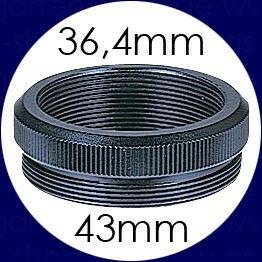 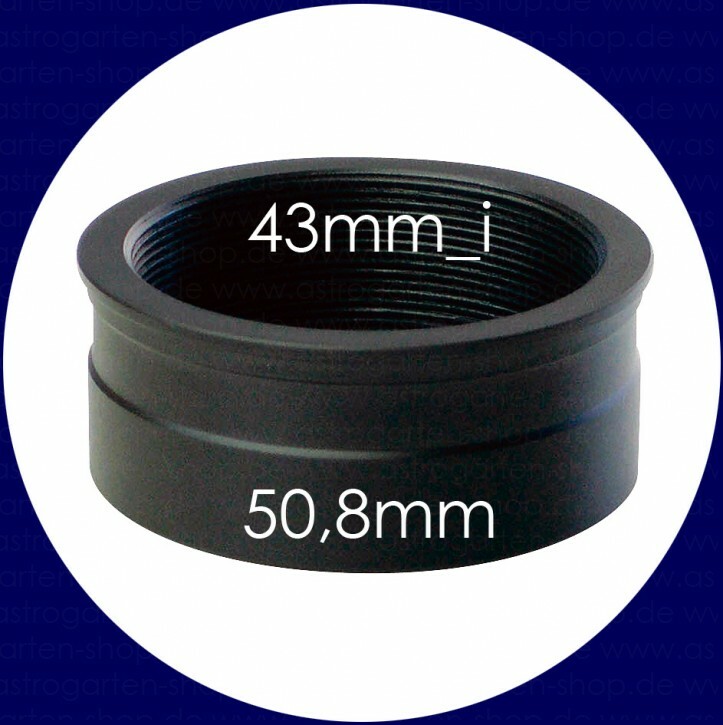 Eyepiece Adapter from 36.4mm thread to 42mm. 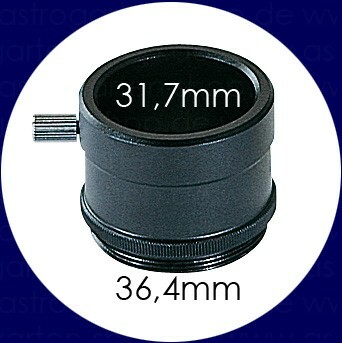 Eyepiece Adapter from 36.4mm thread to 31.7mm. 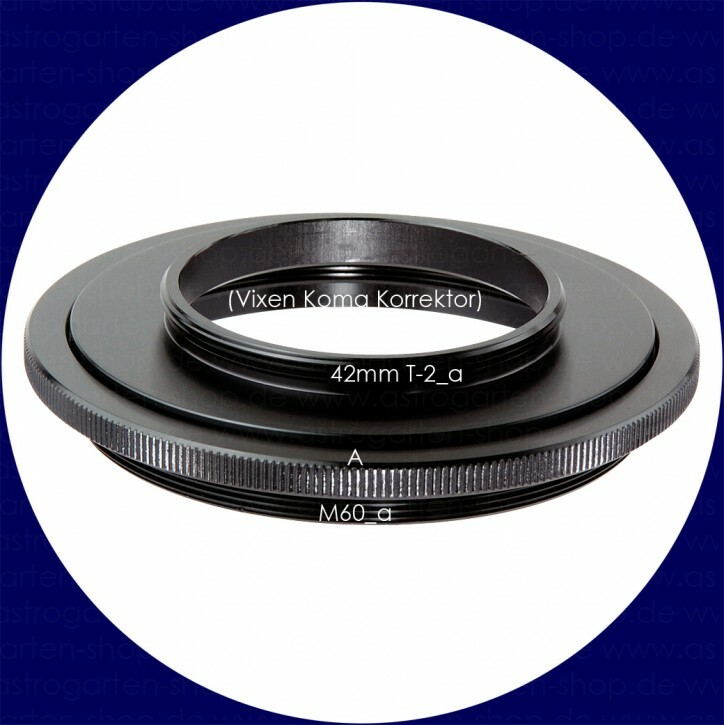 Vixen Eyepiece Adapter from 50.8mm to 43mm thread. 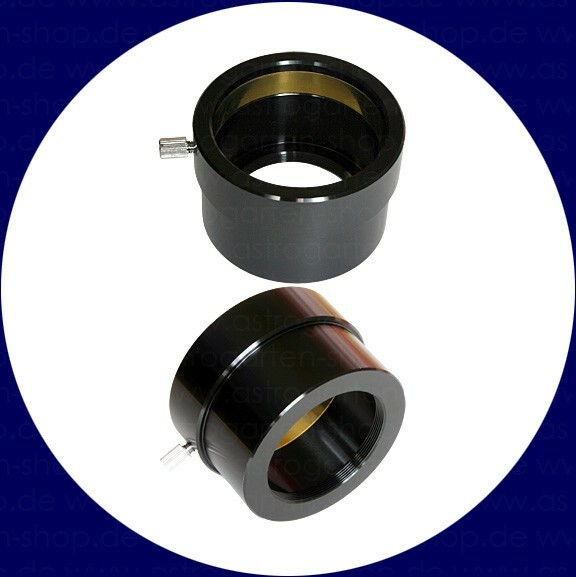 Vixen Eyepiece Adapter from 42mm (T-2) to 2-inch. 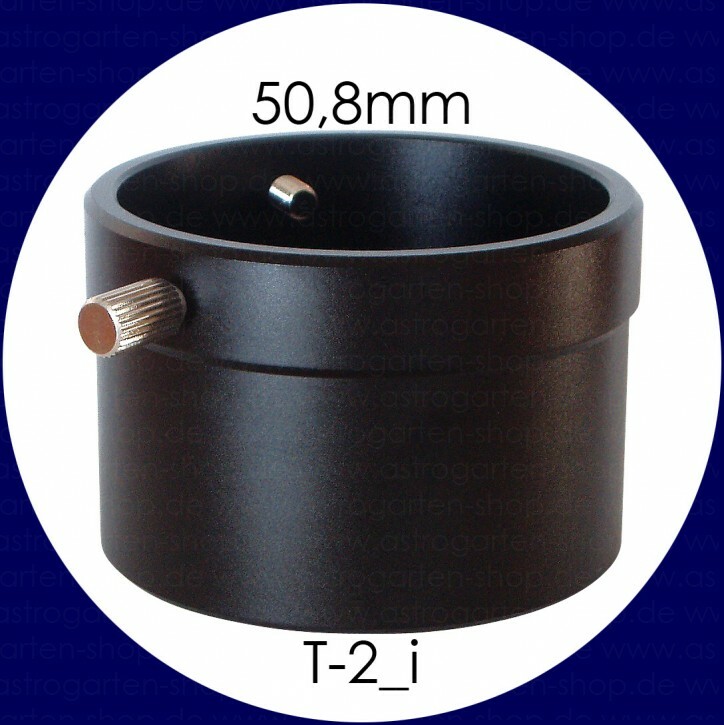 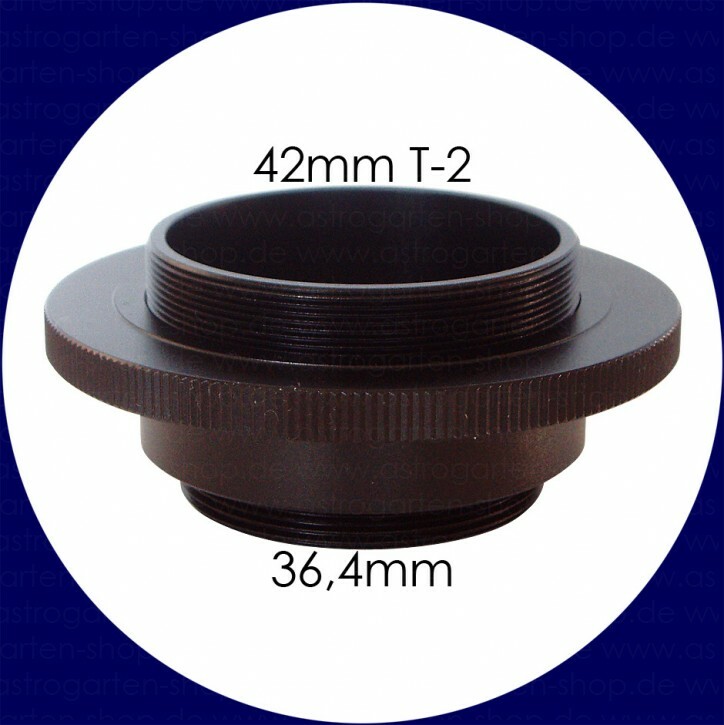 Eyepiece Adapter from T-2 (42mm) thread to 2-inch.